DesignedMade founder Jonathan Krawczuk (born and raised in Yorkshire) has been invited to join the judging panel for the 3D Design category of the Northern Futures Award. The award recognises and rewards the best emerging creative talent in the north of England, presenting it to a wider national and international audience and confirming the North as a hotbed of creativity. The judging panel includes: Ben Kelly (designer); Moritz Waldemeyer (designer); Donna Loveday (Head of Curatorial, Design Museum); Tim Abrahams (Associate Editor, Blueprint magazine); Jason Bruges (designer); Conny Freyer (designer, Troika); Theresa Dowling (Editor, FX magazine). 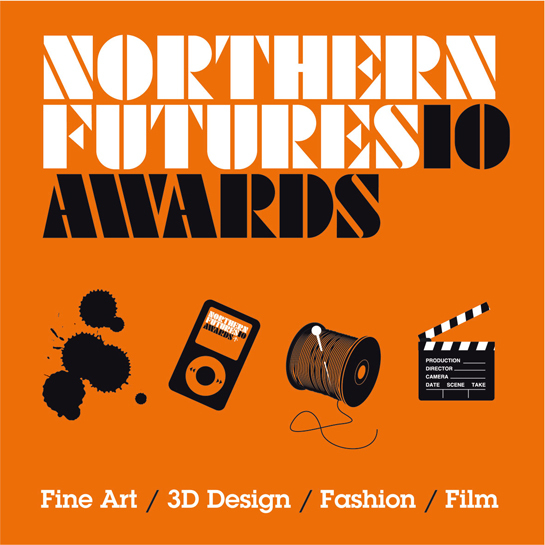 Northern Futures aims to build upon the creative legacy of the region which has given us artistic legends such as Henry Moore, Vivienne Westwood, Damien Hirst, Mike Leigh, Danny Boyle, David Hockney and Peter Saville. The winners will be announced in the week commencing 16 August. This is where you can find the latest updates regarding new products, stockists, trade shows, press coverage and other behind-the-scenes news relating to the brand. Feel free to get in touch via Twitter or by emailing hello@designedmade.co.uk if you have any questions related to products or stories on this page. © 2009 - 2011 DesignedMade // All Rights Reserved.